Many people who hear about SEO for Prestashop for the first time, immediately start searching for information. They want – just like you – to start improving their website as quickly as possible to get more revenue out of their shop! Maybe they saw beautiful examples of Prestashops like Eleven Paris or Timefy and they want to be as succesful as they are. That’s why they chose for Prestashop in the first place and not SEOShop or Woocommerce. While the Internet is full of articles about SEO optimisation for Prestashop, many enthusiastic shop owners are quickly disappointed. Many articles require some basic knowledge on how to optimise your content because you bump into so many technical terms. While other articles explain nothing about SEO for Prestashop and immediately advise you to hire an expert – often the writer of the article – or buy a dificult SEO add on for prestashop. You rarely see articles that are somewhere in between. 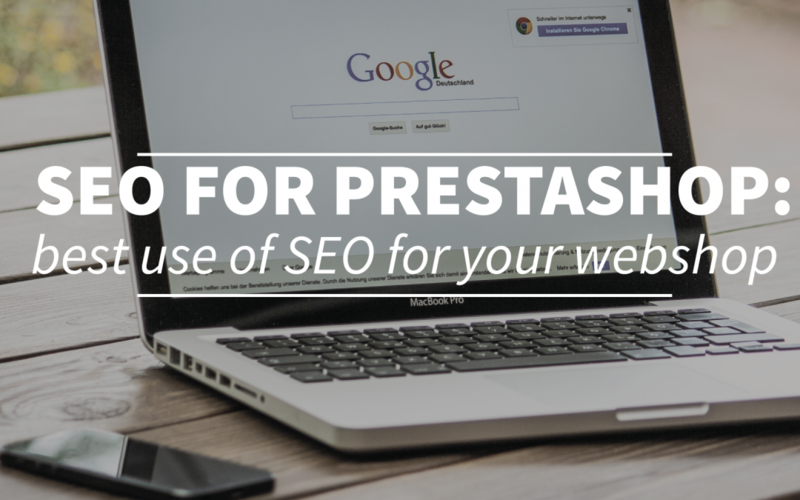 A pity, because you really don’t have to be an expert to understand SEO for Prestashop. Sometimes it is as easy as adding text or a YouTube video to your page. In this article you will learn more about SEO for Prestashop and how you can use it. It is the first article in a series on SEO for Prestashop, so keep an eye on our site for more tips! As the name suggests, it is about improving your website so that it can be found in Google. Now that may sound somewhat vague if you’ve never done anything with SEO for Prestashop, because how can you improve your rankings in Google? The search results that Google presents to you every day are not random. What you see on page one, or what you see further away on page ten (a page that rarely gets visited), is determined on the basis of a so-called algorithm. Google has several rules in place that determine who shows up on top in the search results and who does not. Once you know the rules, you’re able to better participate in the online game. When you’re going to play football for the first time without knowing what the rules are, you won’t be able to make the most of the game. You may score a lucky goal, but the next minute you may commit a foul. So if you don’t want to be overlooked online, it is important to know the rules of SEO for Prestashop. And once you have a higher position in Google, this will directly benefit your shop. The advantage is described in this study. For that reason we have written this blog series about SEO for Prestashop. 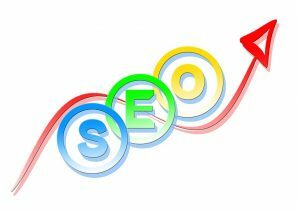 It is a series for beginners, so you don’t have to be an SEO expert to take advantage of our tips and information. Although some experts may even hear some surprising things. We promise you that at the end of this course you will understand a lot more about SEO for Prestashop and you may even feel like a little expert. What you can expect from us are articles without complicated terms, but with useful tips that you can apply immediately. As an entrepreneur, you do not want to spend more time and money on SEO for Prestashop than necessary. We understand that. That’s why we make use of free solutions for optimising your website allowing you to invest as much time as you want. Of course, the more time you invest, the greater the result will likely be. Because it’s fun to track the progress of your website. That way you can see if what you do actually has impact. 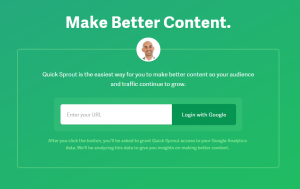 With Quicksprout for example, you can get a free analysis of your website. All you have to do is enter the name of your website and you will automatically get an analysis of how you are doing in various areas. You will also receive instant feedback about what you could improve. Is your Prestashop doing well in terms of SEO? Is there enough discussion about you on social media? Do you have external links that point to your website? What is also convenient is that you don’t have to decide yourself which areas are important enough to improve; Quicksprout will tell you immediately which action items are a high priority and which ones are not. What is also interesting about the site is that you can compare your own Prestashop with other web shops. You don’t need data from your competitors, just the link to their website. That way you can see in which areas they are performing better or worse and what you can learn from them . Another useful tool is the SEO calculator, which show you the impact of a better position in Google. Another interesting tool is Google Analytics. It allows you to track how many visitors visit your website daily. When you’re getting started with SEO for Prestashop, hopefully you will quickly see an upward trend. You can also see who your visitors are. How long do they stay on your website, do they click through to other pages and based on what search terms do they land on your website? You’ll be surprised how many people land on your website based on a search term for which you didn’t necessarily want to be found, simply because the term is mentioned on your site once or twice and nowhere else on the Internet. When you know this information, you can also respond better to it. By discovering this information, you can make strong points even stronger and strengthen your weaker points. Besides Google Analytics, if you also use Google Search Console you can see how often your website shows up in Google and how often people actually click through to your site. For example, that means you can see that your website has been shown a hundred times, but that only twenty percent of the people actually chose to visit your website. This is information you will not find elsewhere on the Internet. To use Google Analytics and Google Search Console for your SEO for Prestashop, you need to place a code on your site. This code is not visible to the visitor of your website, but it stores interesting information for you. We won’t explain here how you can place this code on your site, but it can be easily found through Google.